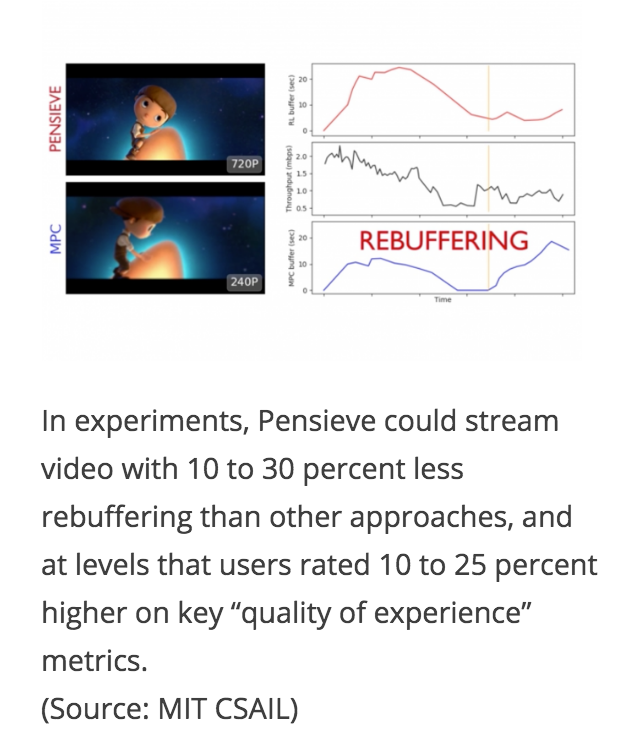 To combat the frustration of video buffering or pixelation, researchers at MIT’s Computer Science and Artificial Intelligence Laboratory (CSAIL) have developed “Pensieve,” an artificial intelligence system that uses machine learning to pick different algorithms depending on network conditions thereby delivering a higher-quality streaming experience with less rebuffering than existing systems. “Studies show that users abandon video sessions if the quality is too low, leading to major losses in ad revenue for content providers. 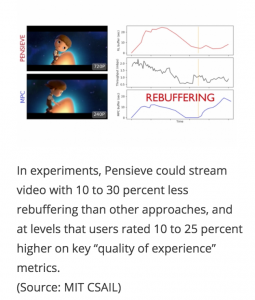 Sites constantly have to be looking for new ways to innovate,” according to MIT Professor Mohammad Alizadeh, whose team created Pensieve.